This section covers Hcg Diet protocol frequently asked questions. 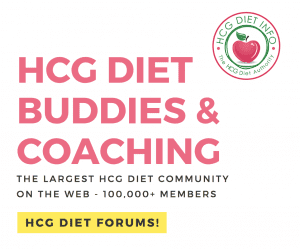 If you are new to the HCG Diet and looking for the super-basics, we have a general FAQ section just for you! Read HCG Diet Plan General FAQ. Thank you to our Chief Forum Moderator, Grammy, for taking the time to answer these questions! 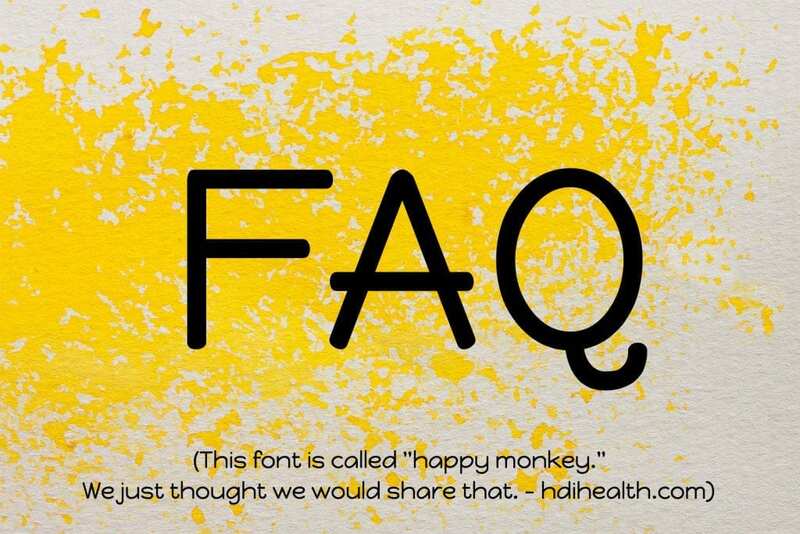 Be sure to subscribe and join in on her exceptional “Ask Grammy” thread in the HCG Diet Forums. Note: Updated for the current year by Jenya! What is the Correct Starting Dose for the HCG Diet? If you’re using Hcg injections, a good starting dose is 150 iu. You may need to go down from there (or very rarely up.) If you’re using RX Hcg Diet Drops, most start at 166 iu 2x a day, but this can vary by brand. If you’re using homeopathic Hcg drops, FIRST make sure your drops contain wording similar to this: “hCG 3x, 6x, 12x,” etc. If they don’t, they are fake (drops that do not contain real hCG hormone) and you should not use them with the Hcg Diet protocol. If they list HCG in this way, start with the manufacturer’s recommended dose. You can adjust from there as needed. Read also: How to Know if Your Hcg Drops Are Real. I’m Hungry on the Hcg Diet. What Should I Do? What Vitamins Are Suggested on the HCG Diet Plan? None are required by the original Hcg Diet protocol, however, some may find it helpful to take potassium or magnesium, but many do just fine with no vitamins. The magnesium can help if sleep becomes an issue while following the Hcg Diet. Others also find it helpful to use Vitamin B (pills or injections which you can buy online) which can potentially raise the metabolism as well. A good multivitamin is always recommended as well. Additional supplements that have noted benefits for Hcg Dieters include lipotropic injections (metabolism and fat burning injections) and Sermoralin which is the precursor to Human Growth Hormone (HGH). Can I Start a New Round of HCG before 6 Weeks? It is not advised to start a new round of Hcg before at least 6 weeks has passed. Also, it is important to note that the length of time between rounds increases with every round completed. There is a 6 week wait between rounds 1 & 2. 8 weeks between 2 & 3. 12 weeks between 3 & 4 and so on. 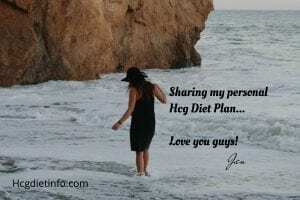 HCG Diet Plan Phase 2: Can I Stay on P2 Until I Lose All The Weight I Want? Such an extended round is highly unrecommended. The maximum weight loss is 34 pounds with a little extra allowed for those who are morbidly obese, and then the limit is 40 pounds before taking a break. So you take a break either at 34 pounds or about 47 days, tops, whichever comes first. What Is a High Protein Day on the HCG Diet Plan? It’s a correction day where you eat only meat, veggies and fats. No eggs, dairy, or nuts in order to assess what caused the spike in your weight. Some dieters do a high protein day at 2 pounds over their last injection weight in order to abort the point where they need to do a steak day. Others do this correction day after a steak day in order to drop a bit more weight. 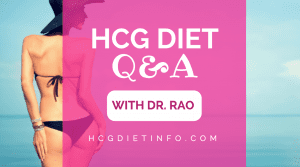 Do I Have to “Load” before starting the HCG Diet? Yes. The Hcg Diet loading phase helps trigger the hormonal response necessary to start the weight loss, plus it helps with hunger while on the Hcg protocol for the first day or two. 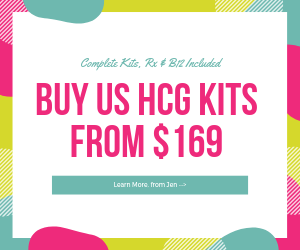 How Many Vials of HCG Do I Need? If the Hcg Diet doctor has you mixing for your own HCG Diet injections, order 1, 5000 iu for a single round or 2, 5000 iu for a long round on the Hcg Diet. If you’re using HCG Diet Drops, you’ll need to follow the included instructions with the brand you purchased. Some people do fine with a small amount of Coconut Oil on Phase 2, however it is far too risky to recommend. Per the Original Hcg Diet Protocol, all fats should be avoided while on the diet. Many doctors believe fats derail the hormonal pathway to the hypothalamus and prevent it from resting. So while you may lose the weight okay (though may will gain or experience an Hcg Diet stall) it is likely to hamper KEEPING the weight off. There’s plenty of time to enjoy treats in Phase 3. HCG Diet and Constipation: I Haven’t Had a Bowel Movement in Days. What Do I Do? Nothing, unless you are uncomfortable. It’s perfectly normal to have fewer bowel movements with so little food. But if you’re uncomfortable, take magnesium citrate or Smooth Move tea. The Hcg weight loss plan telemedicine companies listed on the “Buy Hcg Online” Guide also offer Hcg Diet friendly fiber supplements. HCG Diet Food: Can I Have Turkey? How About Tuna? 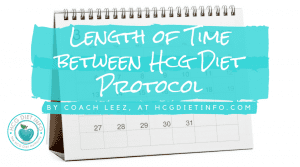 Neither foods are listed as “allowed” on the original HCG Diet protocol. And it’s not because tuna was canned in oil but fresh fish is mentioned in the protocol. Every food is carefully checked for its hormonal response. This is where many dieters get derailed. They look only at calories or fat grams and think a substitute is fine when it can actually stop the hormonal response. Read the Hcg Diet Food List here. Can I Stop the Hcg Diet Plan Early? Yes. If your body has stopped losing weight, this can be an instance that it is time to wrap up your Phase 2 of the Hcg diet and transition into Phase 3. If you are still losing weight, it is usually advised to continue P2 until the end. Keep in mind that the very shortest round is 23 days actually taking HCG. If you stop before this, (while you are still experiencing loss) the weight can be easily regained. A round of 30 days or more tends to produce the most stable result as well. HCG Diet Plan Phase 3: How Many Carbs Can I Eat in P3? Phase 3 of the Hcg diet is not a low carb protocol per se but we tend to see the best stability when you limit fruit to only 1 a day. A glass of milk wouldn’t be a good choice because it has 12 carbs, as much as some berries. Starch and added sugar are not allowed. There is no actual carb count that you have to adhere to but be aware of the carbs in whatever you eat. Can I Switch from Homeopathic to Prescription HCG for the diet? Yes, but you will need to overlap the two methods for 2 days. Here is an article on how to switch from homeopathic Hcg to prescription Hcg. Is Homeopathic As Good As Prescription for the HCG Diet? If they are true homeopathic (i.e. the bottle says something like “hCG 3x, 6x, 12x,” etc) they are known to work for many people. Choose which option works best for you. Here is an article on how to know if your Hcg Drops are Legitimate. Should I Do An Apple Day After a Cheat on the HCG Diet? An Hcg Diet apple day is not necessary after an Hcg diet cheat– nor is that what it is intended for by Dr. Simeons. An Hcg Diet apple day is only for a stall of 4 days or more, and even then, it is often not necessary. For some Hcg dieters, an apple day after a cheat is likely to compound the problem because of the carb content. You can continue with whatever exercise program you were doing prior to your Hcg diet protocol. However, this is not the time to start a strenuous new exercise program. Particularly in Phase 2 of the Hcg Diet, it is not advised to begin anything strenuous. Walking is highly advised, and yoga can be useful. Read more here on Hcg Diet and Exercise. I’m Stalled on the HCG Diet. Is My Body Trying To Tell Me It’s Done? 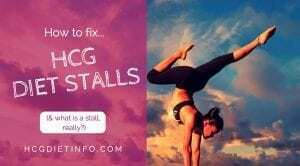 Stalls on the HCG Diet are normal and to be expected. The first week’s weight loss includes a lot of water lost. When your body begins to add the fluid back, even as you’re losing fat, the scale doesn’t budge. It can be very frustrating, but it’s normal. I’m Not Losing a Pound a Day. What Should I Do? A pound a day is not everyone’s average. Everyone is different. Most women lose .5-.75 per day on average. Men tend to lose more. An average loss on a long round is 25-28 pounds for women and 28-32 pounds for men. Read more about Hcg Diet average loss rates here. 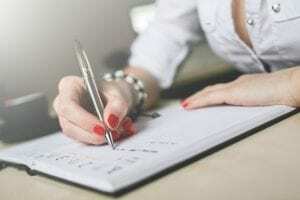 Should I Stop My Medications While On the HCG Diet Plan? You should never stop your medications while on the Hcg Diet unless your doctor tells you to. Most medications do not interfere with the HCG Diet protocol either. 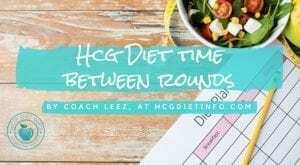 HCG Diet and Menstruation: My Period is Late. What Should I Do? HCG is known to effect with your menstrual cycle. It’s not a problem. However, if there’s a chance you’re pregnant, you should take a pregnancy test or speak with your physician immediately. Note also: If you are taking HCG Diet injections, a pregnancy test will likely show very “light” positive. If the result is a “dark” positive, get to a doctor and increase your food intake until you know for sure. 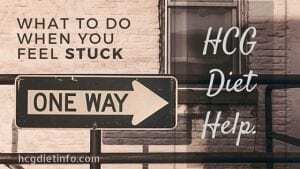 Where Do I Inject HCG Diet Injections? The easiest and most comfortable place to inject is in the upper back hip or stomach, about 2″ out from the naval and about as far down on either side of the naval. Read How to: Injection Tips for HCG Diet Shots. 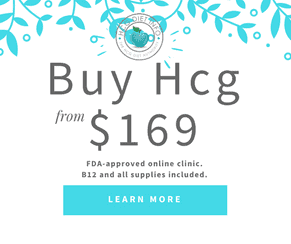 How do I know if I should buy Hcg Injections, Drops or Tablets? What type of Hcg to buy for the Hcg Diet Plan is a personal choice. While injections are the most traditional option, modern telemedicine companies that specialize in the diet, now offer alternatives for those who are leery of needles. These include drops, tablets and pellets. You can learn more about buying Hcg injections online here. These are all US companies that offer fast order processing and sell Hcg as complete kits.